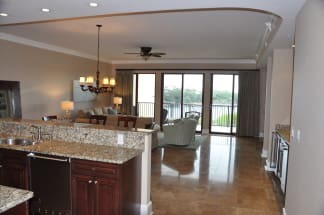 Sanctuary by the Sea is a premiere vacation resort in 30A, Florida. Come enjoy the majestic beauty of the white sandy beaches in South Walton accompanied by 3 pools, 2 hot tubs, a grilling area and fire pits. This complex has direct beach access and many more features. The kids will love the gaming area and movie center and a fun amenity for everyone is the virtual golf center. There is an onsite gym if you plan to workout on your trip. The properties offer fantastic views and a peaceful touch to your next vacation. The 30A area is becoming a travelers favorite. New attractions are being added quite often and the area has become home to some fantastic restaurants and abundant shopping. Some of the local favorite places to dine include the Borago Restaurant, Surfing Deer seafood and Brozinni Pizza. South Walton is also home to many beach adventures such as paddle boarding, deep sea fishing or jet ski rentals. Sanctuary by the Sea will make a relaxing yet fun filled vacation spot. Plan your next vacation with Emerald Coast By Owner. Booking a Sanctuary by the Sea condo with ECBYO will assure you are in direct contact with the owner. Booking direct will provide you better insight on the property and also assure you are getting the best rate as you will not be paying any service fees. Book online today!